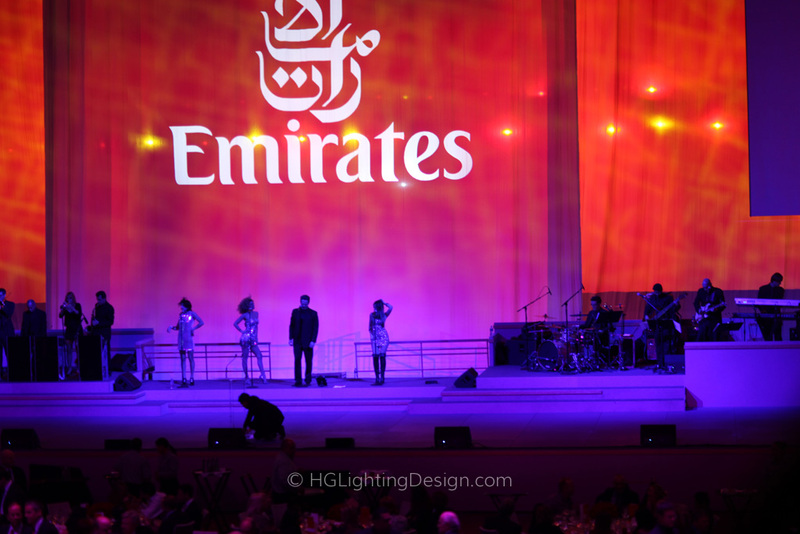 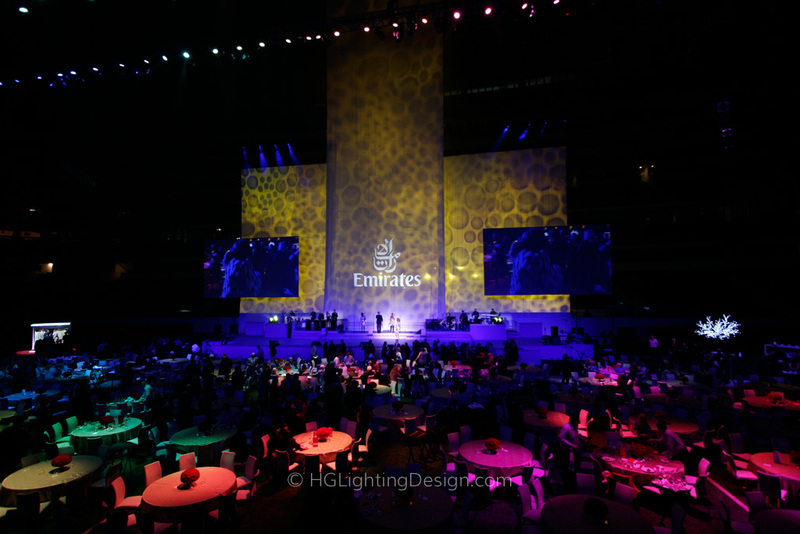 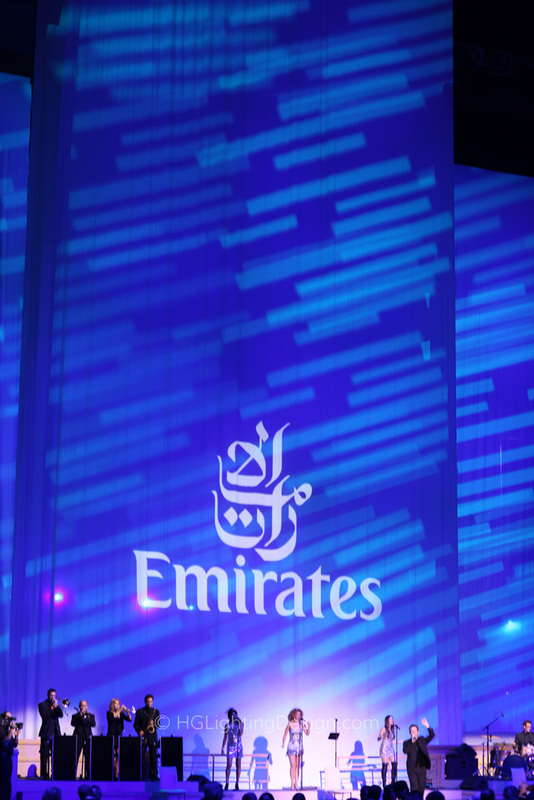 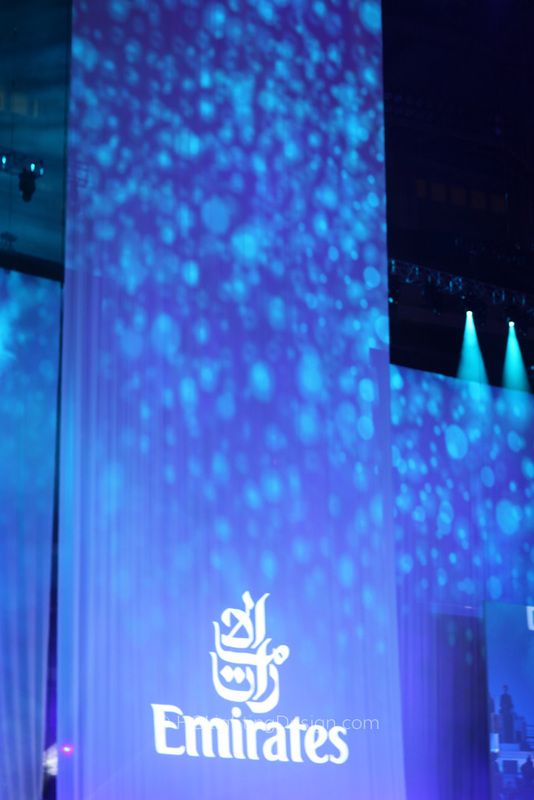 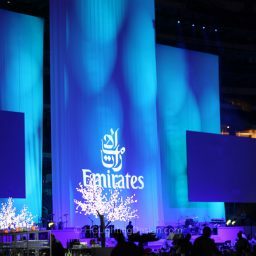 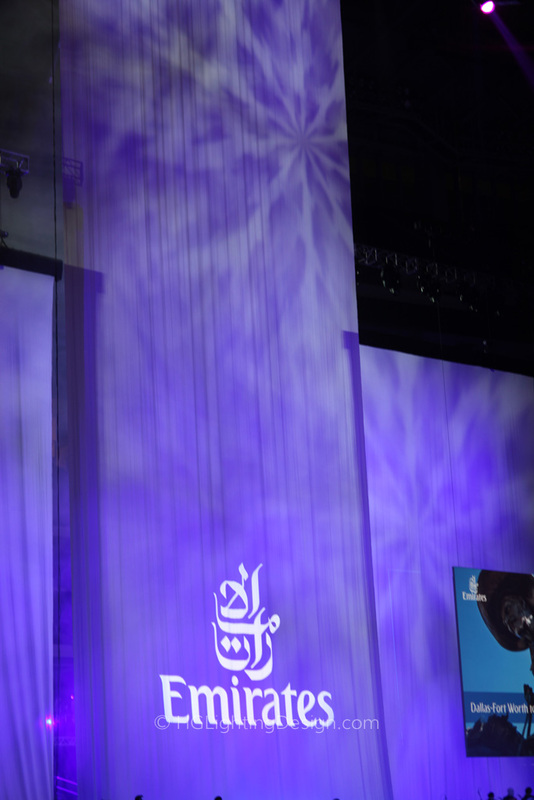 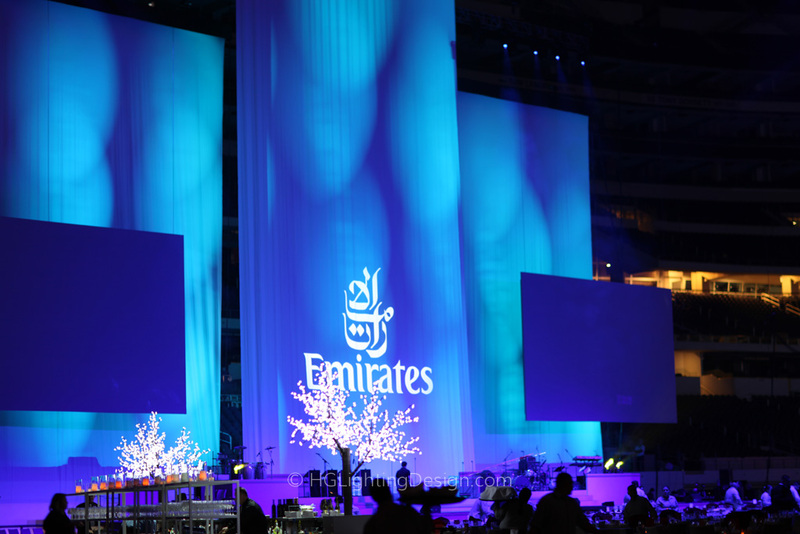 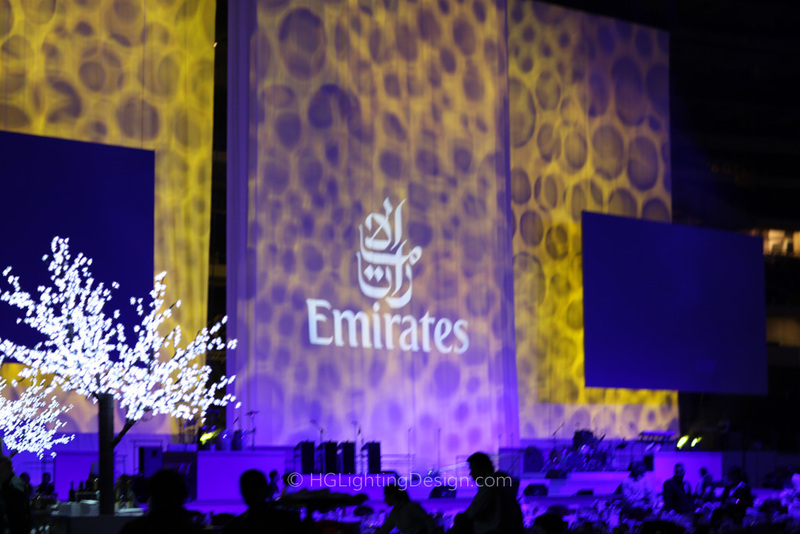 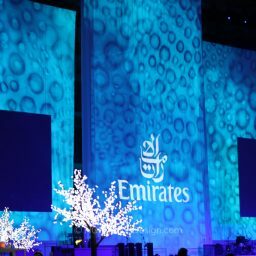 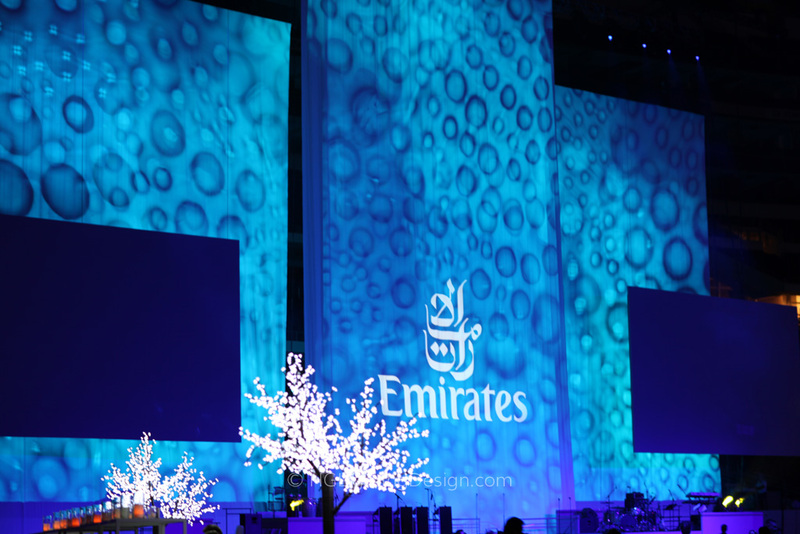 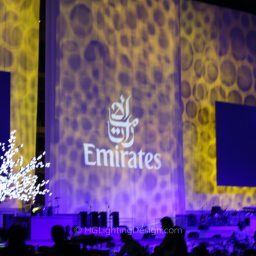 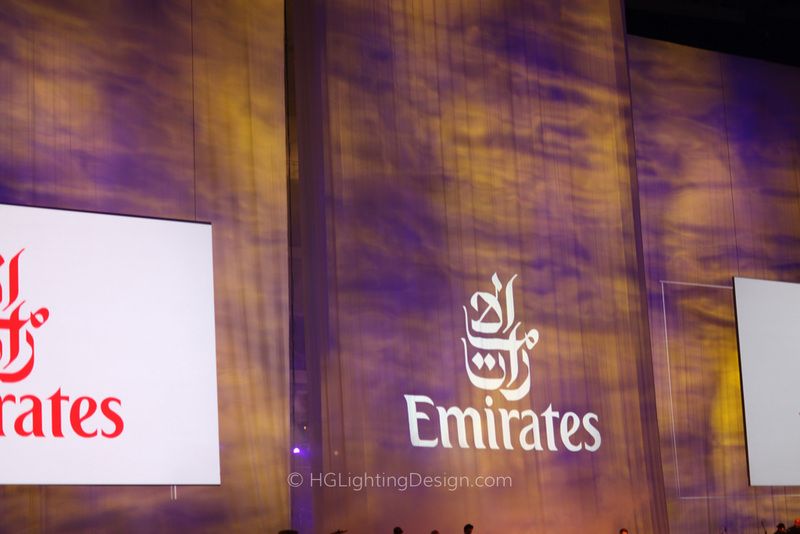 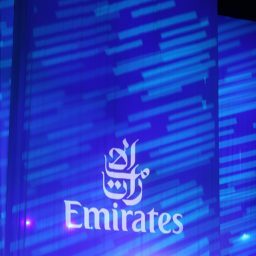 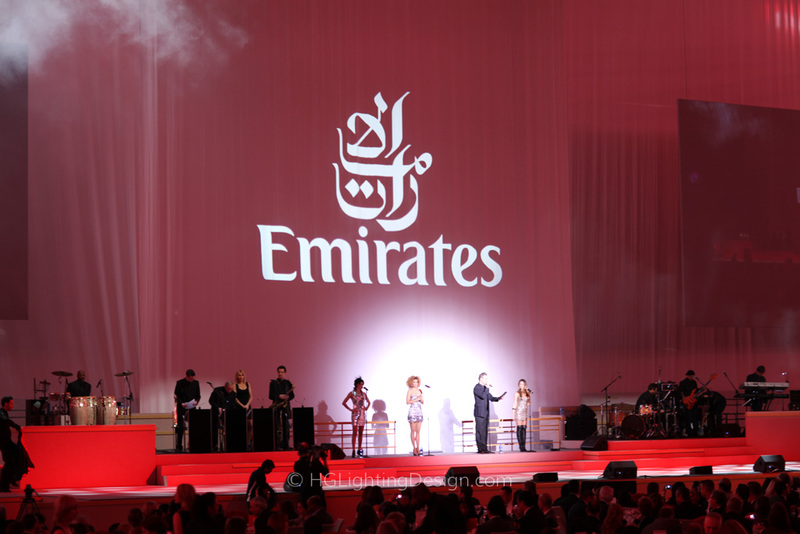 Arab Emirates chose to announce their new Dubai To Dallas route by throwing a dinner for a thousand guests in Dallas Cowboy Stadium. 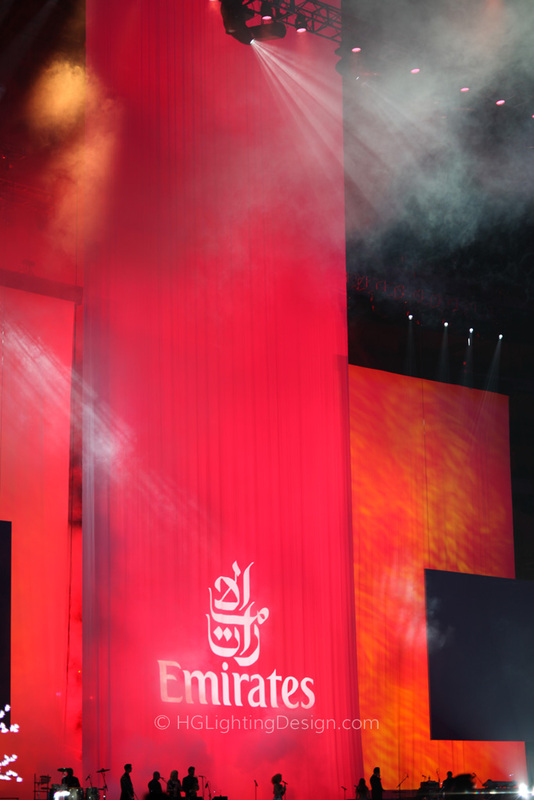 Not exactly a small venue. 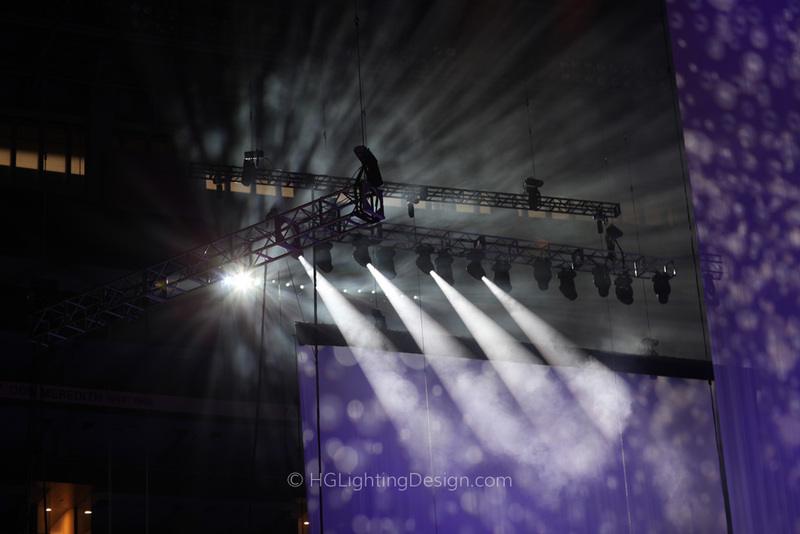 Pete Crawford designed a 160’ tall cyclorama for us to light. 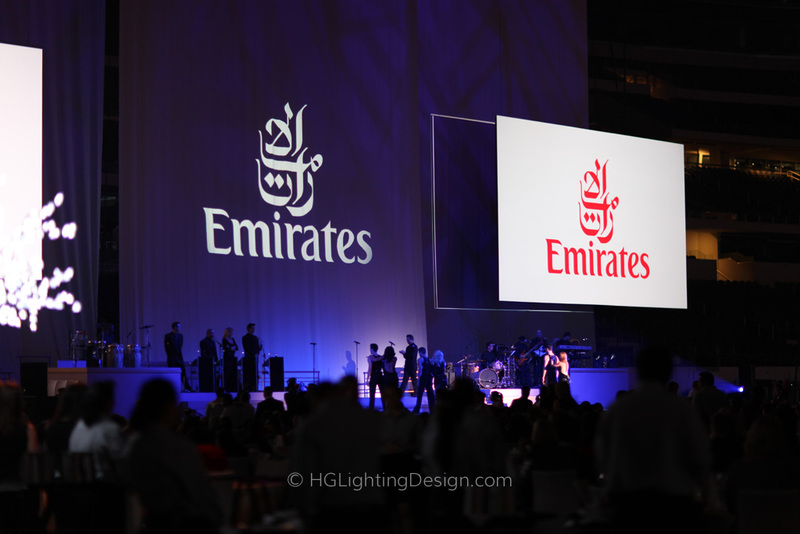 Our clients Ward & Ames wanted a runway effect from the 50 yard line under the scoreboard to the dinner area. 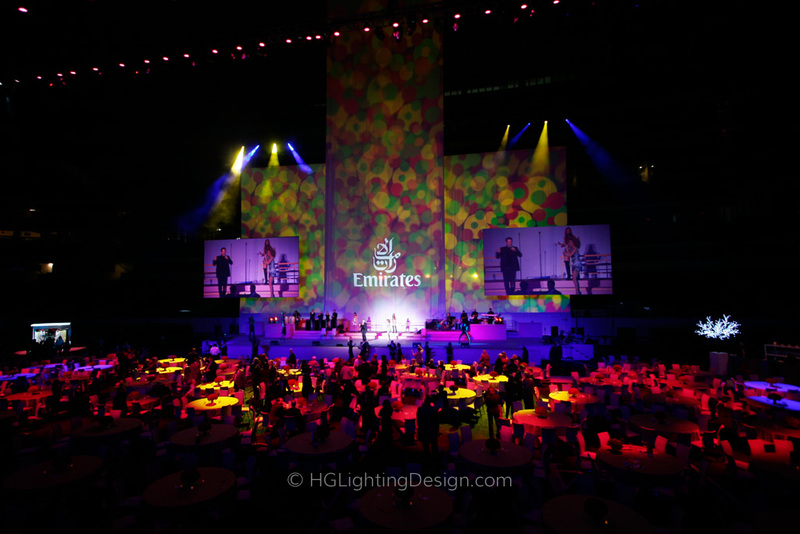 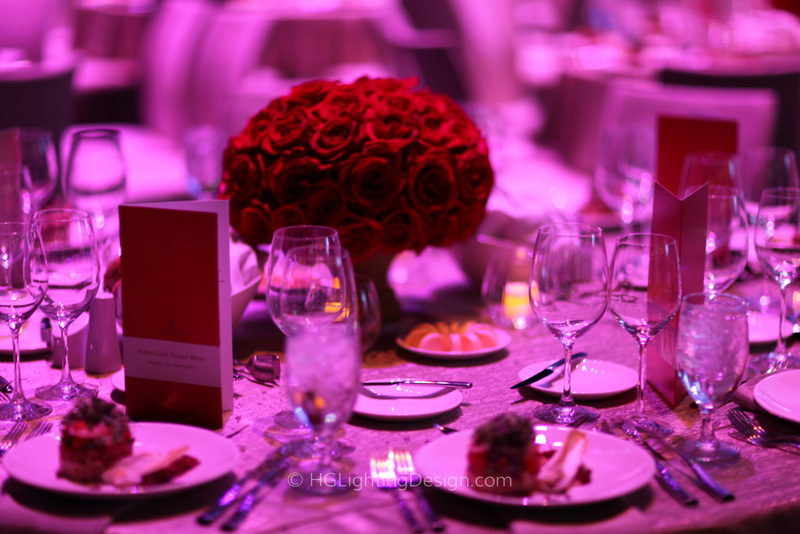 We obliged with chasing runway lights and an elegantly lit dinner area from 20 yard lines and a stage that was 110’ wide with performers and a swing band. 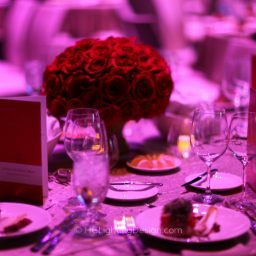 It was an excellent event!